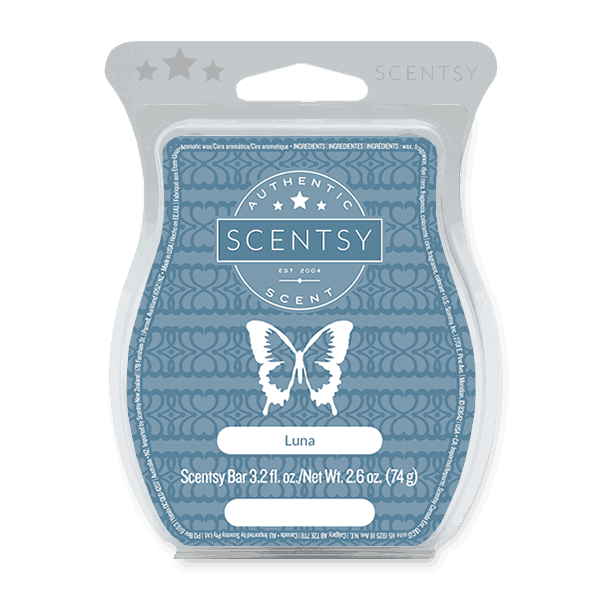 Scentsy luna wax bar scent is White florals, jasmine, sweet pea, and freesia, juicy berries, and sandalwood shimmer like moonlight. A scent favorite for sure! Scentsy Luna Scent – White florals — jasmine, sweet pea, and freesia — juicy berries, and sandalwood shimmer like moonlight.